It's finally "Fall" here in Southern California and we cannot wait for a break from the heat, to watch the leaves change colors, and to celebrate Halloween! 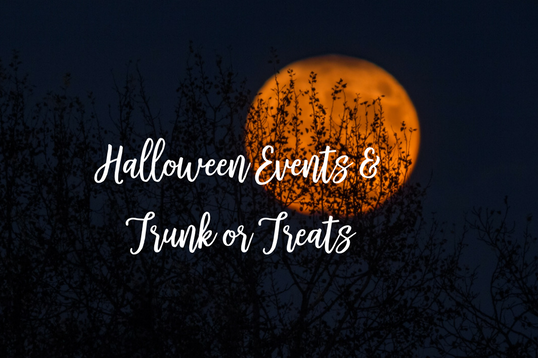 If you are looking for events, haunted houses, Oktoberfest or Pumpkin Patches near you, browse below to find your local attractions! October 28: Dia De Los Muertos' Returns. Vendors selling handmade items, food vendors, live music, dancers, pictures, altars and crafts. Located at Historic Downtown, Main Street / City Park. October 23: Paranormal Research & Investigation Into at Library. Monday Oct 23rd, 6:30PM-7:30PM. Murrieta Public Library. 8 Town Square, Murrieta CA 92562. October 28: Fall Festival, Carnival Games and Food Vendors. 5:30PM-8PM. California Oaks Sports Park. 40600 California Oaks Rd. Murrieta, CA 92562. October 30: Fun Filled Night of the Mummy, ages 3-12. 6PM-7PM. Murrieta Public Library, 8 Town Square, Murrieta CA 92562. October 15:Glamour Ghouls Photoshoot, Haus of Volta Fundraisrer @ Evergreen Cemetary. 4PM-7PM. Evergreen Memorial Historic Cemetary. 4414 14th St, Riverside, CA. $30 for 15 pictures. October 27-28:Ghost Walk & Halloween Carnival. Downtown Riverside Main Street Pedestrian Mall. University & Main St, Riverside. 6PM-10PM. October 27, 28, 29, 31:Mistress Yvonne's FREE Haunted House. 19206 Bergamont Dr, Riverside CA 92508. From dusk to 10PM. Daily: Pumpkin Farm- Pig Races, Pony & Train Rides, Petting Zoo. Located at 39925 Calle Contento, Temecula CA 92591. Through October 30. Big Horse Corn Maze & Harvest Festival. 33320 Temecula Pkwy, Temecula CA 92592. Sat & Sun from 10AM-4PM. Tues-Fri from 1PM-5PM. October 27: Halloween Carnival- Costume Contest & Train Rides. From 5:30PM-8:30PM. Located at Ronald Reagan Sports Park Hockey Arena at 30875 Rancho Vista Rd. Temecula, CA 92592. October 28-29: Pennypickle's Pumpkin & Apple Festival. From 1PM-4PM. Pennypickle's Workshop @ Temecula Children's Museum, 42081 Main St. Temecula, CA 92590. October 30-31: Halloween Wacky Workshop. Pennypickle's Workshop @ Temecula Children's Museum, 42081 Main St. Temecula, CA 92590.